Build multiplication skills, boost confidence and develop a love of learning! This clear and lively study guide is full of puzzles and exercises which help you to master essential times tables in a painless way. Motivating activities, a cheerful colourful layout and lots of tips and answers make the process quick and easy. 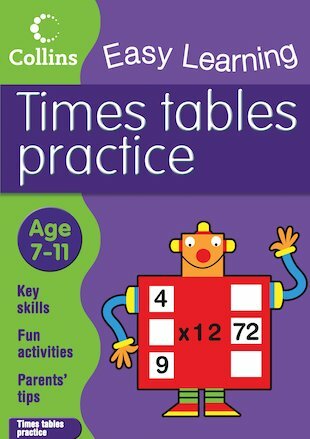 Perfect for boosting school performance, this book gives all-round practice of all the times tables up to and including the 12 times table. Multiply your confidence with multiplication. Keep all those tricky times tables at the tip of your tongue!